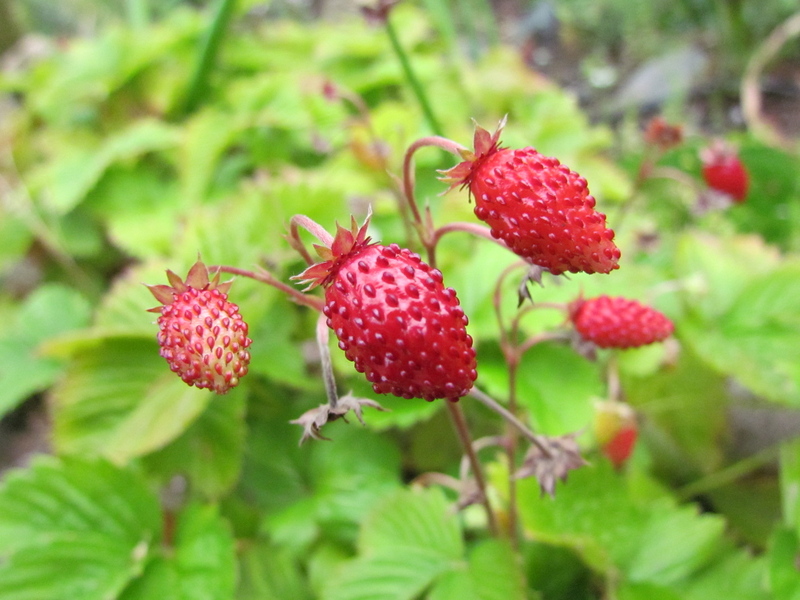 Fraise de bois, Fragaria alpina. Ann, This is one of the prettiest garden photos I've seen. I love it! I find them so cute and delicious. They are definitely my favourite variety of strawberries. They look so delicious! I have not tried this particular variety…looks yummy. Are they extra sweet?